The £625million Olympic Stadium virtually given away to West Ham United Football Club.Another dodgy deal at our expense? Along with many other British people I watched the London 2012 Olympic Games on television – I didn’t have the time, money or inclination to travel to London so would have had a very similar experience if it had been held in Paris. Except we wouldn’t have spent £10 to £12 billion hosting it if it had been held in Paris – about £150 to £200 for every man woman and child in Britain. Anyway these huge Games must surely have generated some tax revenue? Well apparently not. Corporate And Personal Tax Avoidance Agreements Are Now Part Of Bidding For The Olympic Games. No tax was paid on ANY earnings related to the Olympic Games. How was this possible in a country like the UK, you might ask, where you pay your taxes? The reality is that setting up tax avoidance legislation has now become a major criteria for hosting international competitions such as the Olympics – no tax free deal means no point even bidding. 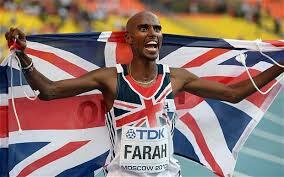 Mo Farah didn’t pay any UK taxes in 2012 – did you? Big name athletes such as Mo Farah, and the organisers, have applied pressure to potential host nations to ensure that winnings, and profits, are not taxed. In July and August in 2012 Stratford, London, became a temporary tax haven. Millions of pounds were channelled through foreign subsidiary companies operating in the area before it left these shores for the bank accounts of shareholders across the World. Logo of the 2012 zionist games. Zero Tax Or We’ll Go Elsewhere! Without a zero tax deal the IOC would simply take their zionist roadshow elsewhere. The new zero tax rules ushered in as part of the winning Team GB bid included ‘a temporary exemption from UK Corporation Tax and UK Income Tax for certain non-resident companies’. The tax legislation was written to include corporate partner organisations such as McDonald’s and Visa. McDonald’s had a near monopoly on selling food and Visa did have a total monopoly on all venues and ticket payment methods – earning them both a tax free fortune. 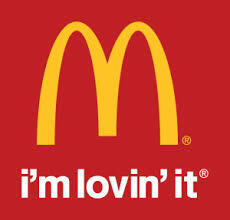 I’d be lovin’ it if I paid no tax on my earnings. Thousands of foreign Nationals were exempt from taxation, from competitors to media workers ( journalists, technicians and producers) to members of official Games bodies and other officials (including judges and referees) along with all the athletes. So We Got Ripped Off As Usual By The Corporations? Many of the corporate sponsors are no strangers to the more traditional tax havens. The table below shows the London Olympic partner companies and the subsidiaries they have set up in tax havens. British Airways appeared not to have subsidiaries in any tax havens. So How Much Money Is Involved? Currently the IOC is projected to make £2.7 billion from the London Olympics and the total amount of lost UK tax revenues is estimated to be over £600 million. The International Olympic Committee (IOC) is based in Switzerland and enjoys very low tax rates there. Also it is totally exempt from paying any tax in the UK on earnings from the London Games. LOCOG itself (the London Organising Committee of the Olympic and Paralympic Games) is also exempt from all taxation. 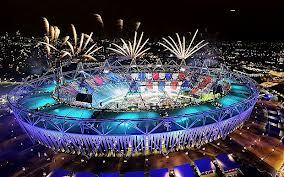 LOCOG is chaired by Paul Deighton, a former Chief Executive of Goldman Sachs. LOCOG itself is also using employee benefit trusts, often registered in tax havens, to pay staff bonuses. 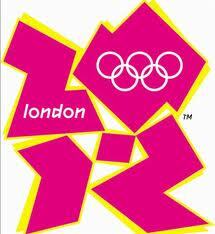 With the amount that LOCOG would have been liable for, the total tax revenue lost is approx. £700 million. Add to that the potential tax income lost from the profits of corporate partners. So, despite using London’s public roads and other infrastructure, paid for by British taxpayers, those financially profiting from the games and working at them were exempt from all UK tax. The credit rating agency Moody’s, has said that “Overall, we think the Games are unlikely to provide a substantial macro-economic boost to the UK during 2012. However, a number of individual sectors and creditors [banks] look well placed to benefit from the short-term fillip that the Games should provide.” Their report concludes that those who will benefit most financially from the games are the corporate sponsors. This brinkmanship tactic of ‘make it tax free or we’ll take our business elsewhere’ has long been used by the financial elites in tax havens. It is now being extended to countries with usually strong democratic legislators via major sporting events from the FIFA World Cup to the London Olympics. Some of the laws have already been extended to cover the Commonwealth Games in Glasgow in 2014, and this process of relaxing tax rules looks set to continue with costs borne, as ever, by tax payers. This entry was posted in BBC, Bilderberg Group, Corruption, Finance, Globalisation, Government, Jews, Labour, Media, New Labour, New World Order, NWO, Olympics, Politics, Zionism and tagged 2012, corporate, corruption, Government, London, London 2012, Olmpics, tax, tax avoidance. Bookmark the permalink. welcome to the real world of socialism, not humanitarism as they try to pretend to get support of the masses, all liablities are socialized (you adn I pay for it) and all the profits privitized (they get to keep all the loot). this is what true wealth redistribution is all about trickle up not trickle down like they claim when they gave all those economic stimulus money to big corp when they claimed trickle down due to job creation, all they did was keep the money, no need to create any goods or services people actually want to earn it, and thus they had all those billions to invest in speculations and invest money into money to make money all the while by passing the customer and fleecing the flock. great article, heard something about this some time ago, not from Main stream media of course. Awesome issues here. I’m very glad to peer your post. Thank you so much and I’m looking ahead to touch you. Will you kindly drop me a e-mail? Great items from you, man. I have have in mind your stuff prior to and you are just extremely excellent. stating and the way through which you say it. You’re making it enjoyable and you continue to take care of to stay it wise. I can’t wait to learn far more from you. That is really a wonderful site. I believe this is one of the most vital info for me. And i’m satisfied studying your article. Fir – st among equals! https://www.youtube.com/watch?v=QjR6xRN0PjY Bill Still: notice of Parliament debate 20 November 2014 A.M. on who should create money. Carswell (UKIP), and David Davis (Conservative). Arguably tax is just the symptom, not the disease, the latter being a corrupt monetary system that factors into it interest on credit which then goes into circulation as currency.